Evil Dead 2 is the second installment in a very unique trilogy from the 80s. In this review, and overview, I'm going to go over several of the highlights of the film that help it to continue thriving after 25 years. I will also explain just why exactly it shouldn't actually be considered a standard sequel or a remake of the original. The Evil Dead franchise was the brainchild of Sam Raimi. 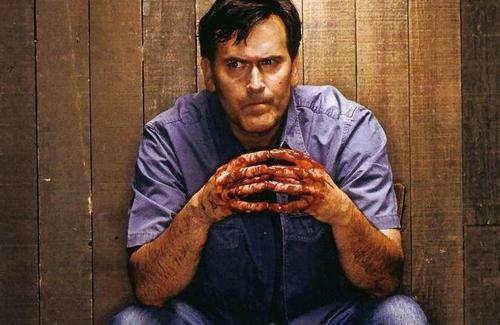 The films were based on a character named Ashley J. Williams or better known as just "Ash" , played by the "B" horror movie legend Bruce Campbell. The film was released in 1987 as a so-called sequel to the 1981 release Evil Dead, and followed up by the 1992 release Army Of Darkness. The first film was only considered a minor success before the making of Evil Dead 2, which almost instantly gained an undying cult following. This notoriety did manage to send some attention to the original film, but it would never see the popularity of Evil Dead 2. I would like to tell you that it was superior acting, great special effects and an amazing storyline that has made this movie so incredible, but that couldn't be further from the truth. In fact, it's just the opposite, it's the hilarious overacting, below standard effects and cheesy script that makes this movie so good. The addition of a self amputated, possessed hand, being replaced with a chainsaw certainly helped to. As the story goes Ash and his girlfriend Linda (Denise Bixler) go on a romantic getaway to an abandoned cabin in the woods. while retrieving a bottle of wine from on top of the desk, Ash mistakenly plays a tape. The tape in question just happens to be a recording of passages from the Necronomicon Ex-Mortis left behind by the cabins previous owner, an archaeologist professor studying the book. At that point an evil spirit is unleashed, that possesses poor Linda. After discovering his girlfriends possession, Ash then decapitates and buries Linda, and in return the unknown force sets its sights on Ash. As the evil entity slams into Ash he goes spiraling through the woods, eventually slamming into a tree and falling into a huge mud puddle. It is at this point that the recap of Evil Dead 1 ends and Evil Dead 2 begins. As part 2 begins Ash overcomes his possession, but struggles with his sanity after realizing there was no way to escape. Following this, Ash's right hand then becomes possessed and he is forced to severe it, in order to save his own life. What follows these already horrific events is none the less outrageous. Throw in a few more potential victims (the archaeologists daughter being one of them), a convenient chainsaw replacement for Ash's severed hand, bleeding walls and a demon in the cellar, and you now have the recipe for a great horror/comedy. 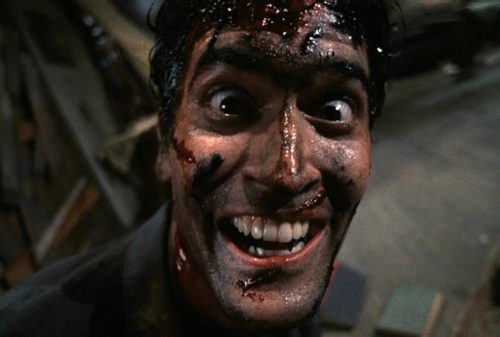 Whereas the first movie was strictly thought to be just horror, Evil Dead 2 purposely brought in a comedic view to the film. Which is your favorite Evil Dead film? The problem with the movie being a remake is really quite simple, other than the few similarities mentioned above the stories are not even close. The original had none of the humor, a completely different plot and a mostly new cast of characters including Ash's sister. At the end of Evil Dead 2, Ash is sucked into wormhole that transports him and his chainsaw back in time, to fight the "Deadites" (the name given to the Demons later on) to save all of mankind. 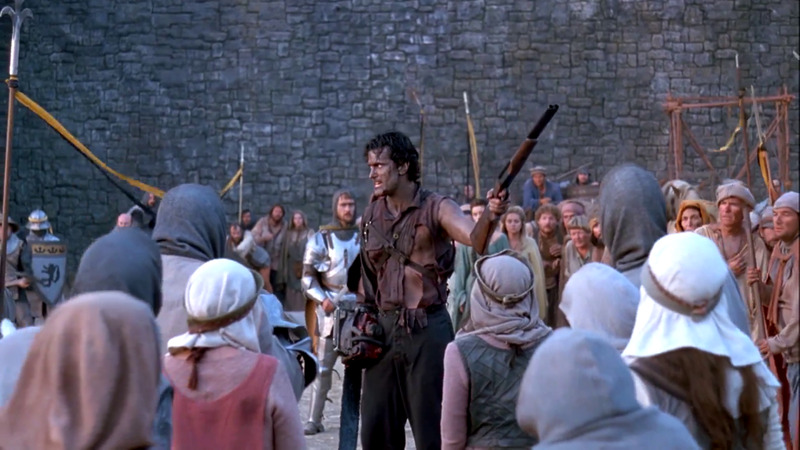 Of course none of this saving actually takes place until part 3, Army Of Darkness. As mentioned previously in the article, the beginning of part 2 is a recap of part 1, only the story has been shortened and slightly modified by the writer. 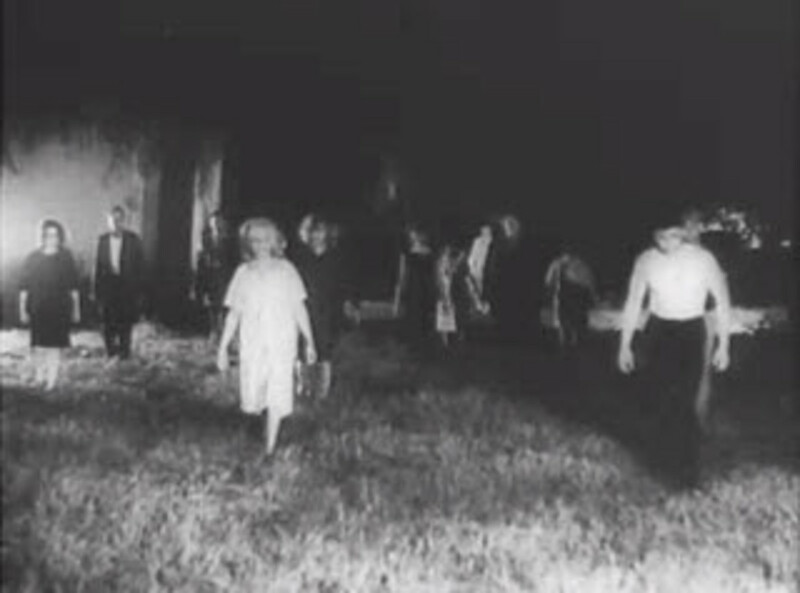 The original movie scenes were unavailable to use, due to foreign rights disputes. Therefore with all of these discrepancies we should now all know that the movie is certainly not a remake of the original. So, if we have established, that Evil Dead 2 is not a remake then what is it exactly? Well, what it is technically called is a "retcon sequel". Retcon is just short for retroactive continuity, an alteration of previously established facts in fictional work. 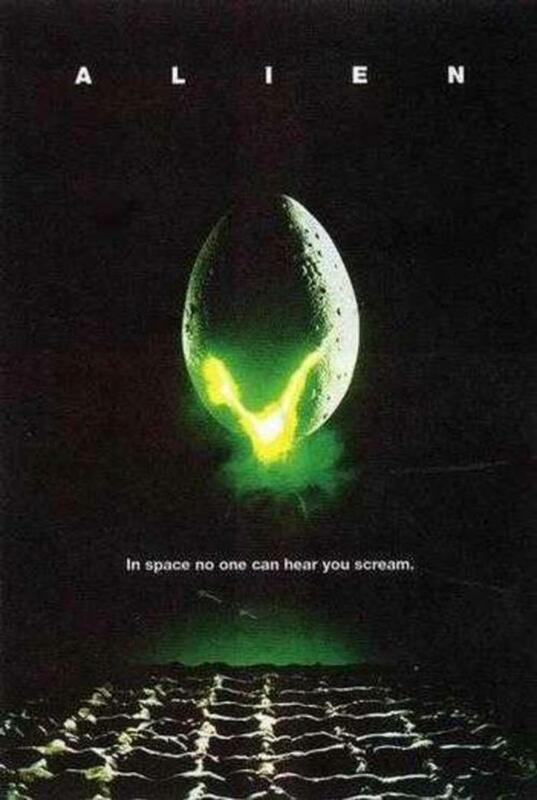 During the recap of part 1 the movie had been given so many subtle changes, for whatever the reasons, that the new movie could no longer be considered, just a sequel. Regardless of what it's called, it's a great "B" movie and definitely worth watching. So, if for some reason you have never seen the film, check it out, you wont regret it. Went to see evil dead 2 in the theater with my chick at the time. Along with two other couples. We all had taken some good acid about an hour or so before the movie. During lots of scenes security threatened to boot us out because we were laughing so hard. Especially us guys. We still laugh about about it sometimes to this day. 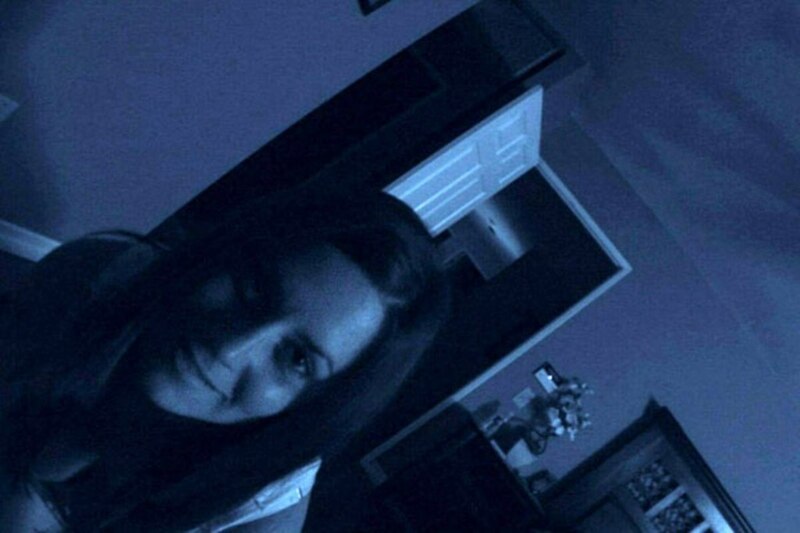 People must have thought we were insane,laughing at demonic horror like that. ALLTIME CLASSIC! Definitely FRY FLICK. But only for those that can handle it. Naw, I have to admit that I was in the Evil Dead camp then I rewatched Evil Dead and 2 one after the other. ED2 is miles better. The original is really boring. lol I could definitely see that happening. Awesome article, thanks! Then again, I love the movies... :) AND just finished reading The regulators (read Desperation last year). Do you know of any other "retcon sequels"? You have great taste in books those are both really good. You're right they do have that same resemblance, I have never thought of that before. 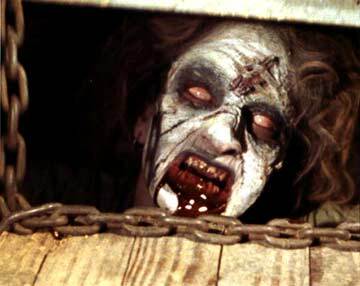 I love the Evil Dead movies!!! You are right, it is neither a remake, nor a sequel. I compare it most to a couple of books Stephen King wrote. 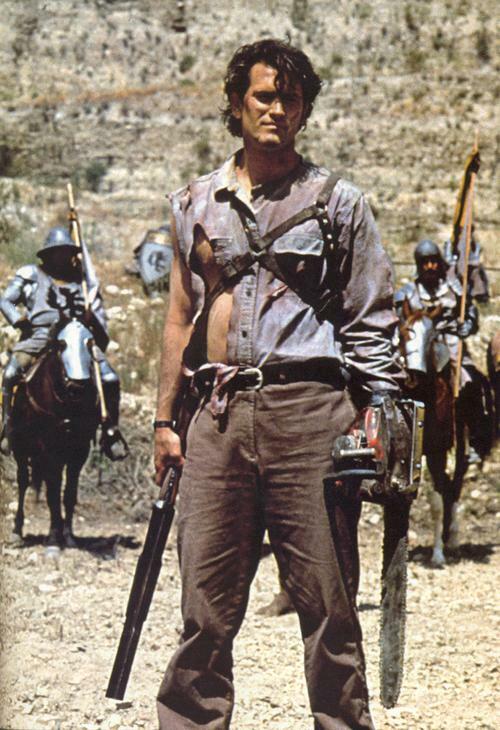 Desperation and The Regulators(as Richard Bachman). They contained similar characters, though in different forms, but the stories were different. They were connected but different. Almost like alternate realities. Once again, I stand alone. Didn't like Evil Dead 2. And I'm pretty sure there isn't enough acid in the world for me to actually be entertained by it. But I agree with Arbsy. Practical effects all the way. 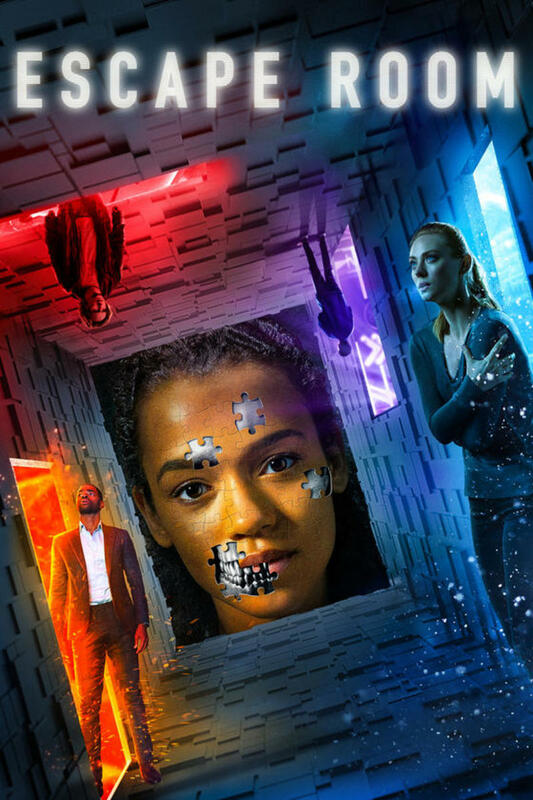 Great Hub though, I just wish you'd made it a little longer, maybe going into why it ended up like it did, or a little more in depth about what you liked about it. Just my thoughts though. Thanks Arbsy I appreciate the comment, and I have to say I agree it's one of my all time favorites. Love Evil Dead 2, Id take practical effects over CGI any day. Great Hub!